In the search for the latest south west community? The community of One at Windermere takes a modern edge on Edmonton homes styles and offers a variety of contemporary looks to compliment your lifestyle. Serene lakeside views combined with an integrated walkway system allow several access points for families to enjoy. Little ones will create fun and happy memories while playing in the local park. Great shopping, golf courses and nature trails await by this prime location in the heart of the Southwest. Driving around the city is quick and convenient with easy access to the Anthony Henday. This fresh and unique neighborhood will be a wonderful display for your own personality and style. 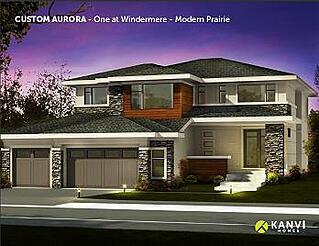 Modern Prairie and Modern Contemporary exterior styles give the One at Windermere a unique, suburban feel throughout the entire community. This dynamic neighborhood offers a fresh and vibrant take on new homes. The contemporary design is enhanced by an array of materials, textures and colors that bring balance to each design. 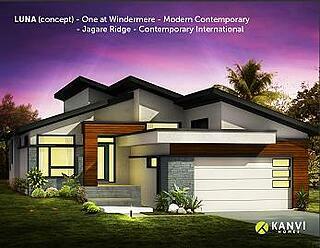 Modern and esthetic in form, each home is well defined and inviting to family and friends. While entertaining for the holidays, your guests will be talking about your new home for years to come. With a variety of home builders in Edmonton, building your unique home can be a breeze. Visit our Oasis show home in progess, set to be ready in the spring of 2017. Minutes away from desirable shopping centres, the One at Windermere allows convenient access to local eateries, grocery stores and major chains. Within moments from your new home, the Currents of Windermere Shopping Centre includes a Cineplex Odeon VIP theatre and popular retailers such as Canadian tire, HomeSense, Safeway and Cabelas. Everything you need from banking to health care services are right around the corner. Fine eateries within the vicinity include Browns Socialhouse, Five Guys Burgers and Fries, Sushi Shop, Marble Slab and many more coming soon. Enjoy endless nature trails, as well as two golf and country clubs. Immerse yourself with access to the activities provided by the Terwillegar Community Rec Centre including an exclusive salt-water pool, enormous steam room, state-of-the-art fitness centre and four ice rinks. To take advantage of all the Amenities this community has to offer, check out the full list here. Opening its doors this fall on September 1st, St. John XXIII provides a great option for families within the neighborhood. Children from kindergarten to grade nine are able to experience academic excellence close to home. Specializing in French Immersion, there are a variety of program settings for students who have a desire to learn a second language. St. John XXII presents two science labs, two gyms, and two music rooms flanked with acoustic padding and rubberized floors. The glass-panelled walls are innovative and slide to expand rooms into the common areas. Before and after school care is also available. Click here to find out more. Take the next step and find out how One at Windermere can be your next community to call home! Contact us for more information.